The game development industry is devotion, sometimes repetition and a lot of fun. When you are working on your own work or even in a team, figure out which part of game development is your favorite and focus on that. This course is entirely to enhance your knowledge and put the best put forward in the industry. Entering the World Of Game Development: If you consider yourself an artist and have unique game ideas, then game development is a course for you. This offers you a wide range of opportunities to create or develop games which can give you hands-on experience in technical knowledge regarding Information Technology and computer application. 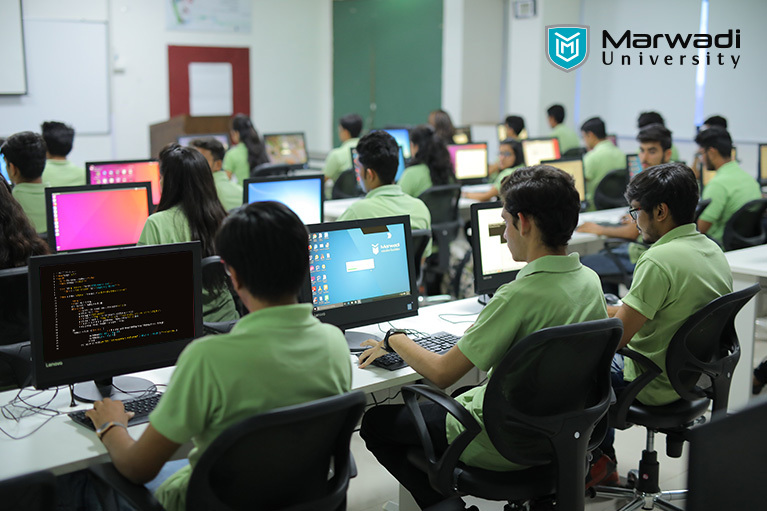 Learn Unity Engine: At Marwadi University, we will discuss the basics of coding, variables used in development, functions and how to use them. We will discuss various ideas that can be implemented in an introductory project or advanced projects. Porting Games to Various Platforms: We teach students how to design videos to run on one platform and convert it to run on a different platform. Knowledge of Vector Mathematics and Basic Object Oriented Programming. It is a programming language that carries a basic feature of programming like encapsulation, abstraction, polymorphism, etc. Getting Started with Unity: Unity is a 2D/3D framework that gives you a system for designing games or applications. Developing a Game From Scratch: Games are a creative outlet and need basic software development skills to start. You will be taught to produce a development process and execute it. Unity UI: It includes: Animates buttons, creating a setting dialogue, usage of text, slider, panel, etc. Completion Of Products: Finishing every element used in the development process in a way that each section is executing. Marwadi University provides game development course of duration 60 hours and course fee as 3000. It is an extensive course that will be beneficial in this IT-enhanced world. Moreover, we award certificates to students on successful completion of a course that will add to their portfolio. This will be further used to demonstrate your skillgas in superior professionalism and match the industry standards. If you want to be a game development genius or want to give a boost to your credibility, then register now!